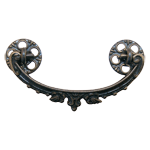 Cast Brass Knob with Stamped Brass Backplate in an applied antiqued finish. 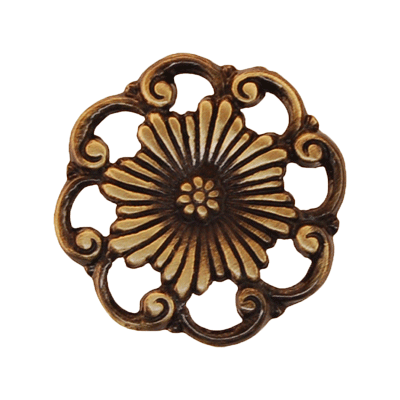 A knob from the Victorian era that gives a delicate romantic flair to furniture and cabinets. Knob is cast brass with applied antique finish. 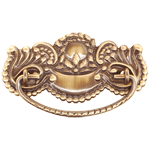 Backplate is stamped brass with applied antique finish. 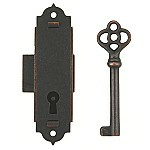 Package includes brass knob, backplate and mounting screw. 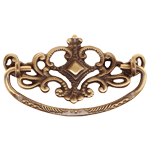 This item ships the same or next business day. 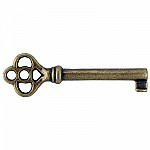 This item is $2.54 when your order exceeds $250 before shipping in qualifying items.